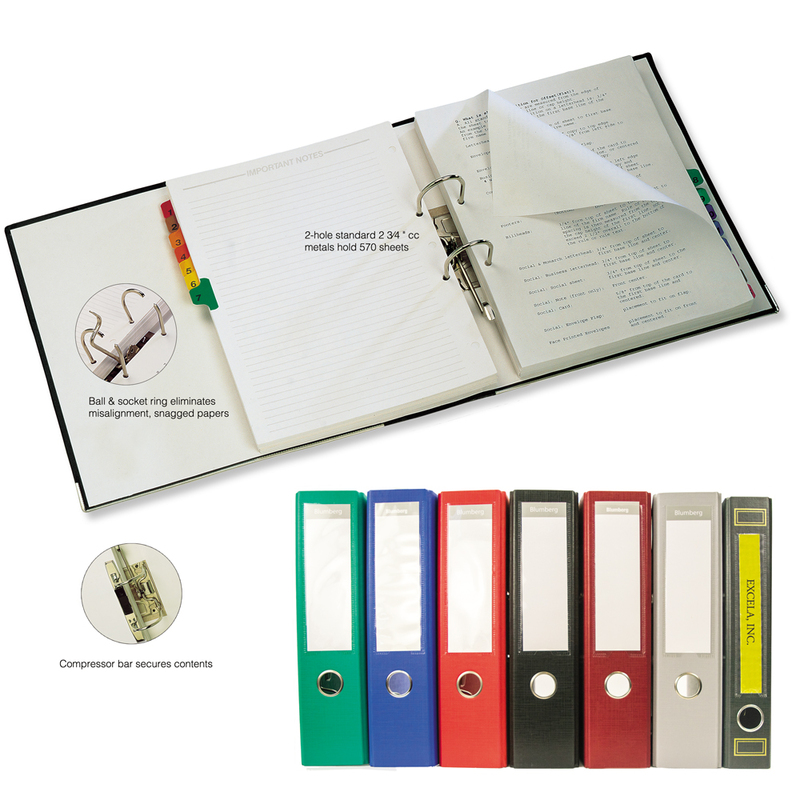 Colorful, capacious lever arch 2 ring binders are ideal for organizing litigation or transactional case/client files and trial notebooks and look great on office shelves and bookcases. Use with letter-size paper and standard 2-hole punches. Blumberg lever arch 2-ring binders store U.S. letter size documents; use with 2 3/4" (7 cm) center-to-center (cc) paper punches. 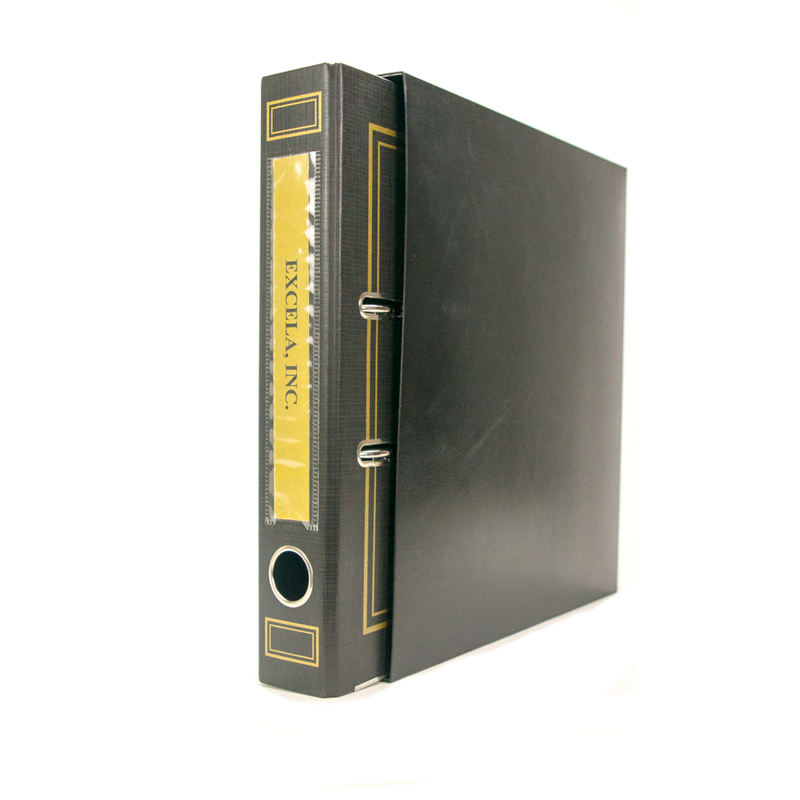 These binders are not for A4 international size documents with 8 cm cc spacing. 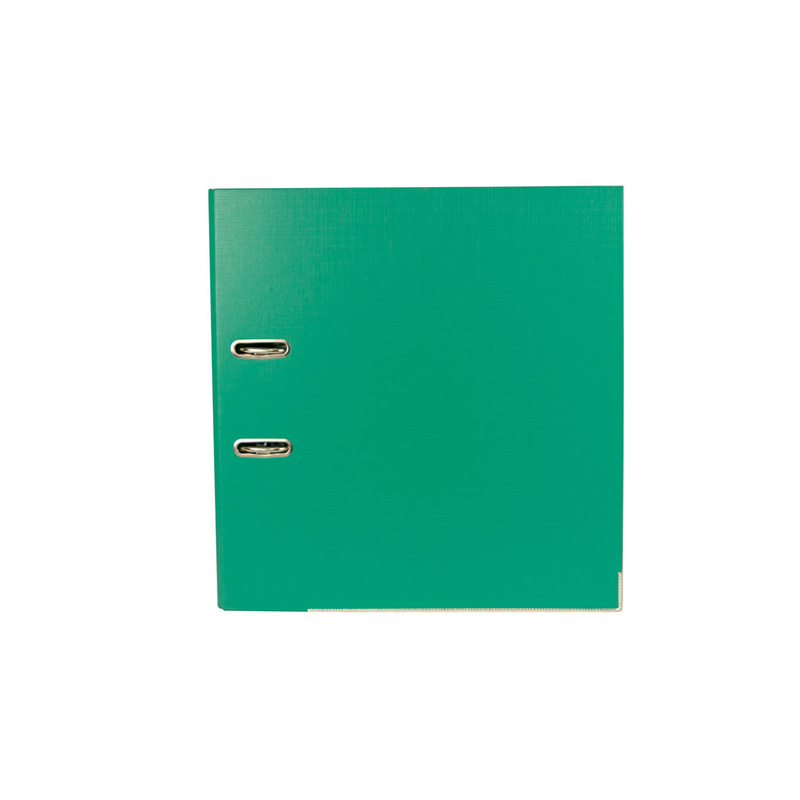 In the background of foreign films set in professional offices, you often see bookshelves full of neat rows of distinctive binders in various colors, with reinforced round holes the size of a quarter on their spine. 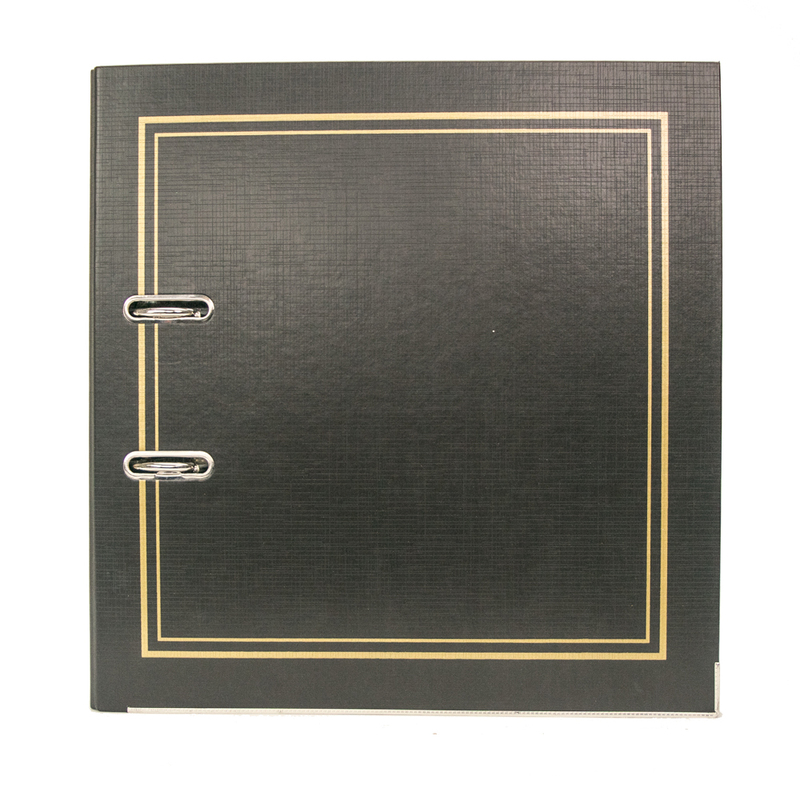 These are “Lever Arch” Binders. They are the standard way the A-4 paper-size world files their paper records. Read More Here. 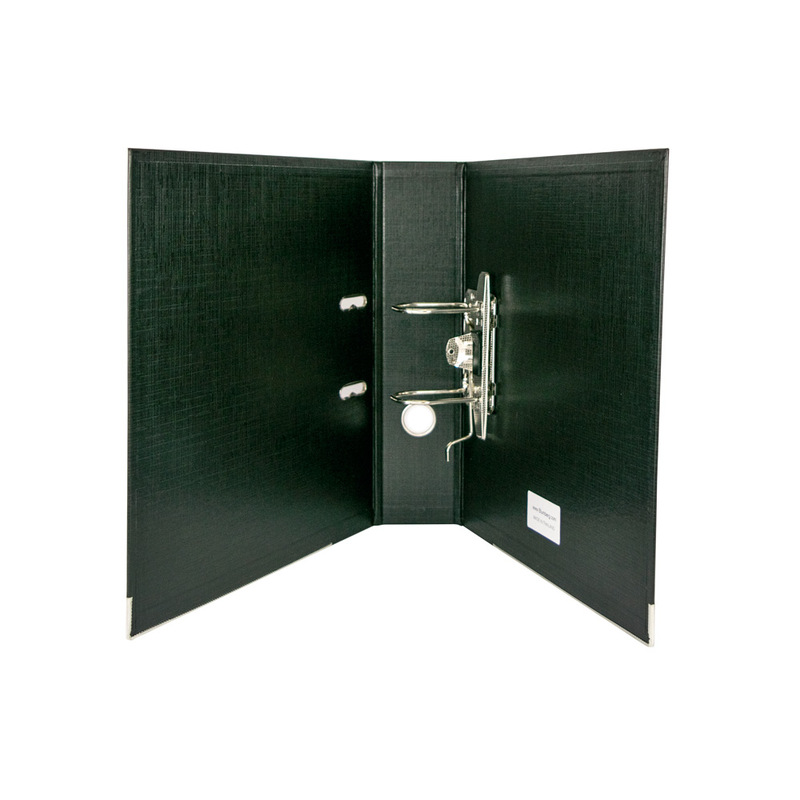 Customize lever arch binders as trial notebooks, specialty files and closing books with our broad selection of practice area indexes, litigation indexes, exhibit indexes and closing sets.